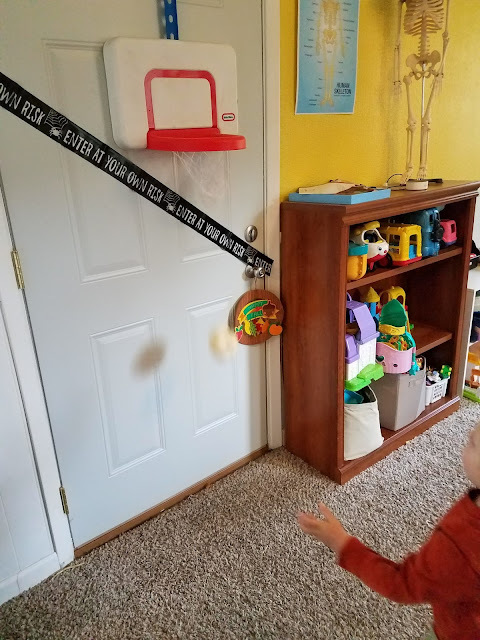 I love holiday parties, especially for the kiddos! 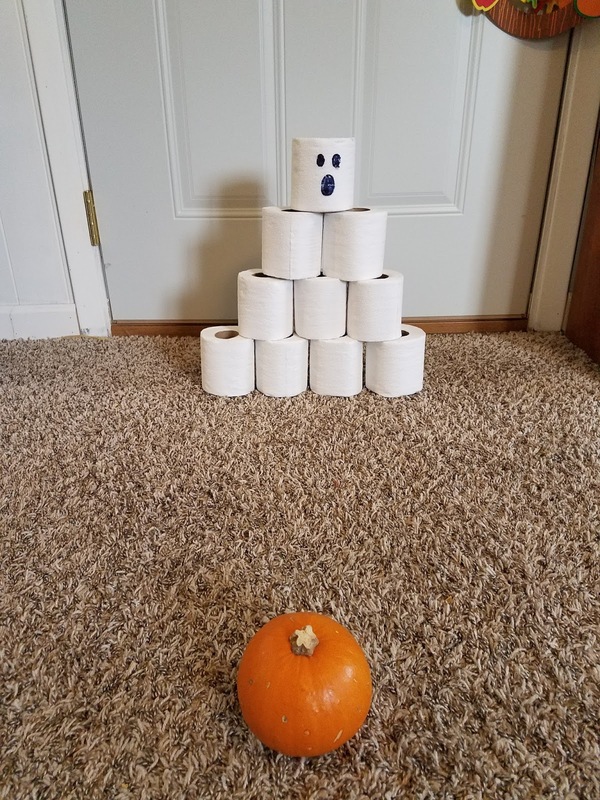 We kept it simple for this year's party (mostly because we were leaving for out of town the next day). 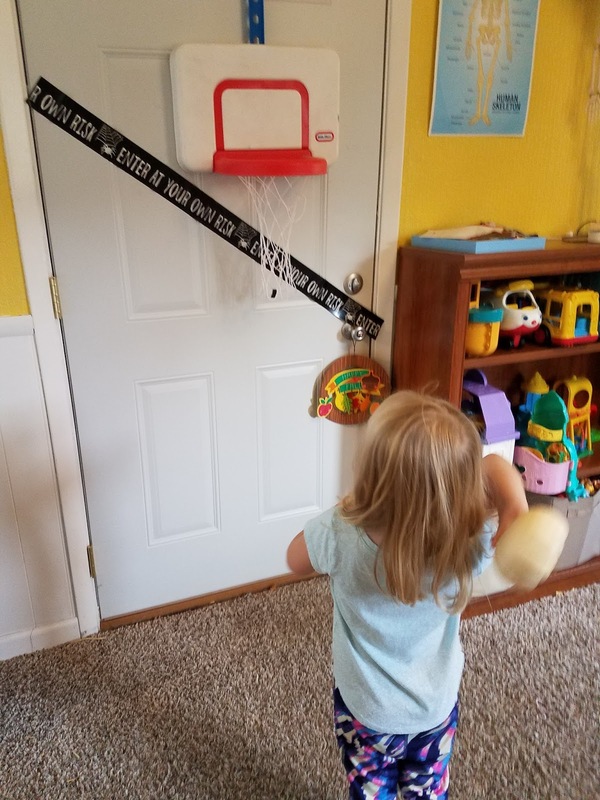 The kids dressed up in costumes, played pumpkin basketball (the door and the pumpkin both held up), ghost bowling, pumpkin cake, dancing to the Monster Mash (followed up dancing to their favorite: the Trolls soundtrack), and listening to "spooky" Halloween music. 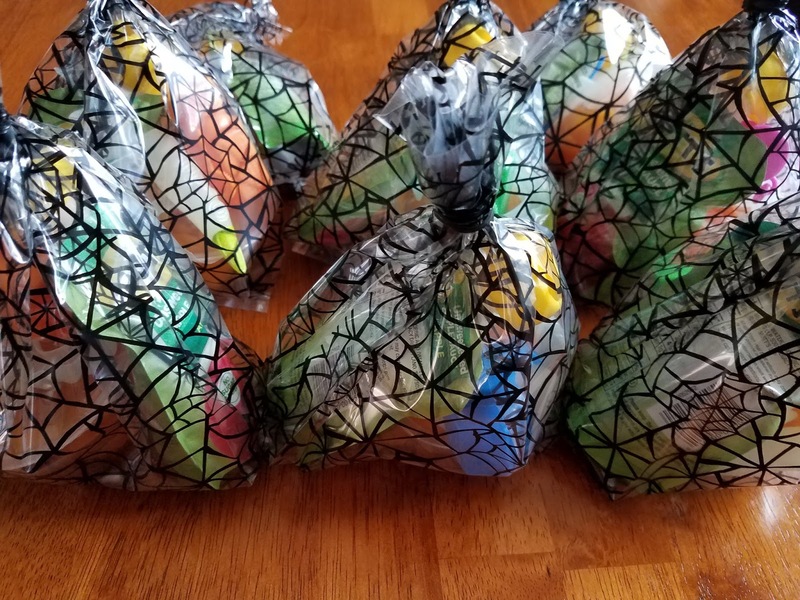 Treat bags included applesauce pouches, mandarin orange cups, bubbles, and a witch finger. 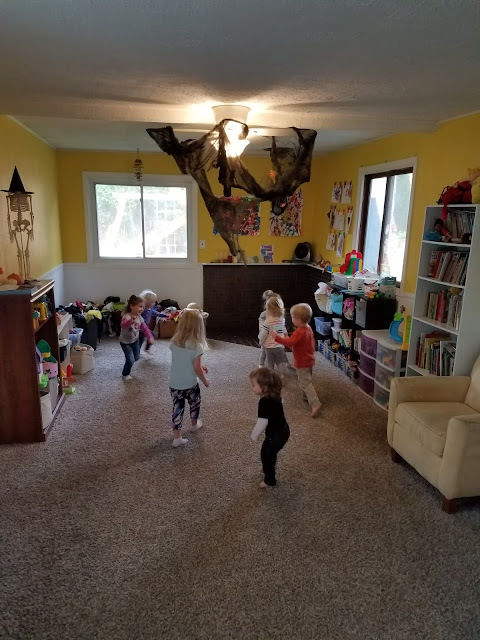 The black spider webs kept everyone enthralled all day. 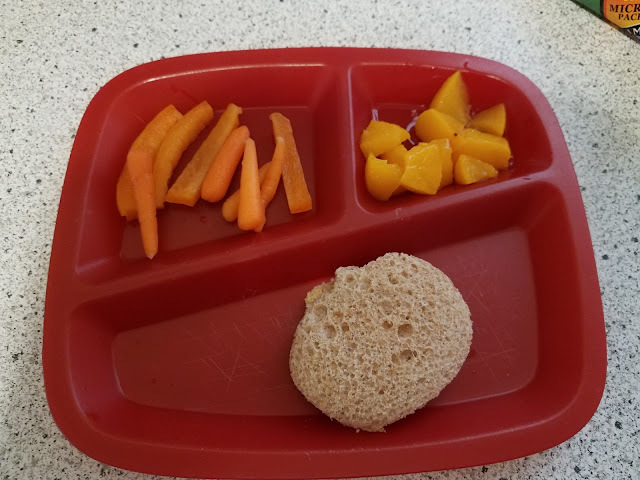 Lunch included pumpkin shaped grilled cheese, carrots, orange peppers, and peaches. Most kids had seconds! 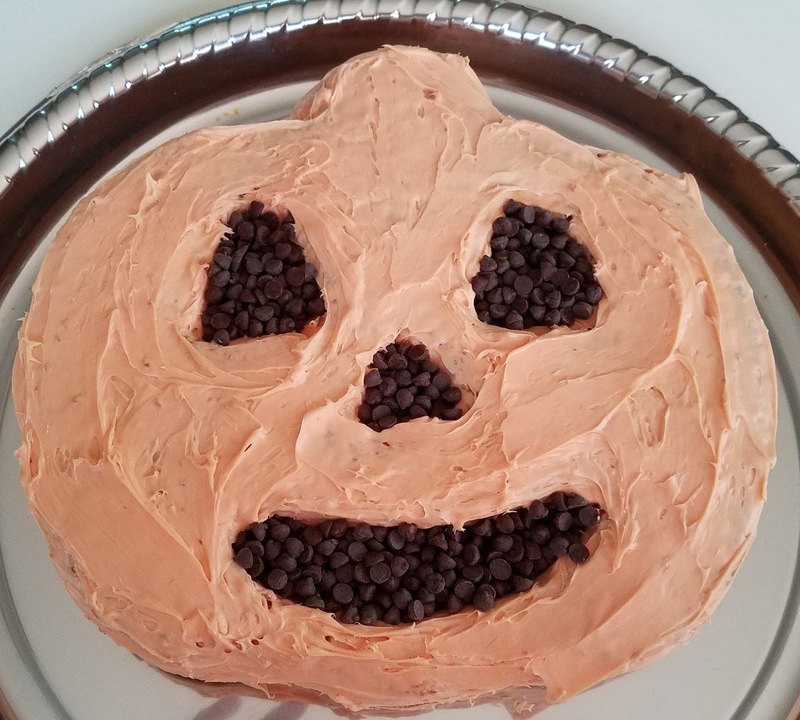 Our pumpkin shaped cake complete with chocolate chips! The bigs got home from school and instantly got in on the action. 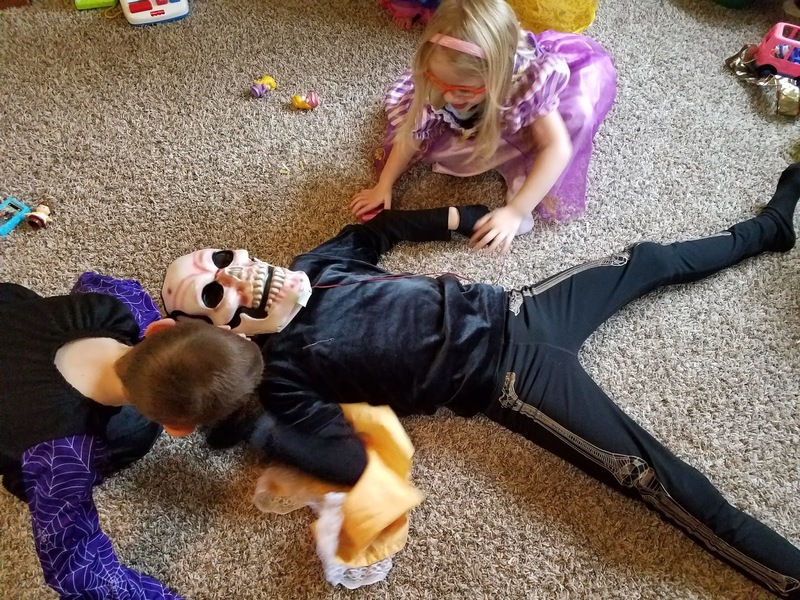 The scary mask was supposed to scare the kids, but instead they tickled him to the ground.